What began with an idea is now a dream shared by thousands across Australia. A unique and innovative way to fund cancer councils Australia, Dive for Cancer Day is nothing short of a grand celebration that honours the courage against the deadly disease. The event which has gathered unbelievable support at various destinations is ready to rock Sydney, Canberra and South Australia during the upcoming months in 2016. While volunteers, donors and media acknowledge the endeavour, other cancer councils Australia show willingness to adopt the idea. So, what makes it a highly anticipated event? Join scuba divers as they explore the fascinating undersea world. While it is a stupendous experience for the divers, non-divers too get to learn and get inspiration for this amazing adventure. Lunch, beverages and forms of live entertainment turn the day into a rejuvenation break. Bring along your friends and family to enhance the fun even more. The joy of contributing towards the Cancer Councils simply comes as a bonus. Not to forget the auctions that allows you to help more in fund raising. 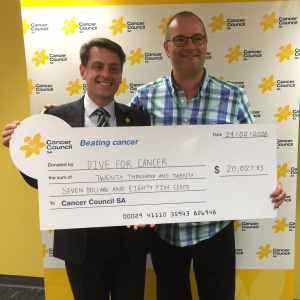 Mark Tozer’s out-of-the-box concept to raise money for cancer council Australia is absolutely remarkable and we expect to celebrate many more Dive for Cancer days in the future. 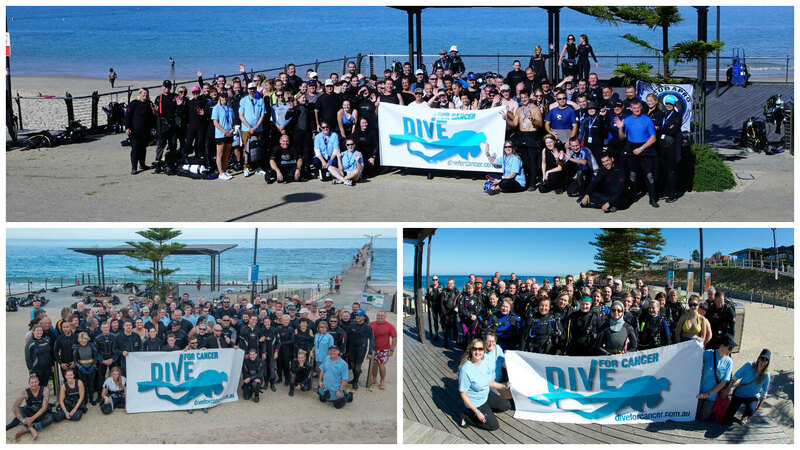 “Diving Adelaide” get behind Dive For Cancer again.